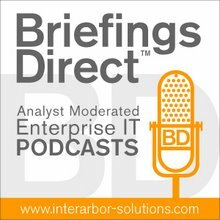 This BriefingsDirect guest post comes to you courtesy of Andras Robert Szakal, director of software architecture for the U.S. Federal Software Group at IBM and a member of The Open Group board of directors. He can be contacted here. I’m spending a considerable amount of time these days thinking about cyber security. Not just contemplating the needs of my customers but working with other industry thought leaders within IBM and extern ally on how to address this convoluted, politically charged, complex and possibly lucrative domain. Much of our thinking has centered around new government programs and game changing technologies that seek to solve the increasing cyber security challenge. I’m sitting in the cloud computing stream today at the 23rd Open Group Enterprise Architecture Practitioners Conference in Toronto. Not surprisingly every presenter and panel eventually settles on the subject of cloud resiliency and securability and the need for skilled architects capable of effectively applying these technologies. Some headway has been made in the integration between IT and the business. But for the most part they still exist as separate entities. many of the poorly constructed services, SOA, Cloud or otherwise are the result of poor design and a lack of architectural skill. The challenge here is that high value architects are difficult to grow and often more difficult to retain. Back to the cyber report released July 22. The fact is that most organizations have created an artificial barrier between IT professionals and business professionals. The line of business professionals, management and executives are more valued than the techies running the IT shop. Some headway has been made in the integration between IT and the business. But for the most part they still exist as separate entities. No wonder the cyber report suggests that prospective high valued cyber security specialists and architects don’t see a future in a cyber security career. How do we address this challenge? Let me offer a few ideas. First, ensure these folks have architectural as well as cyber security skills. This will allow them to think in the context of the business and find opportunity to move from IT to a line of business position as their careers grow. Ultimately, the IT teams must be integrated into the business itself. As the report suggests it’s necessary to establish a career path for technologies but more importantly technical career paths must be integrated into the overall career framework of the business.